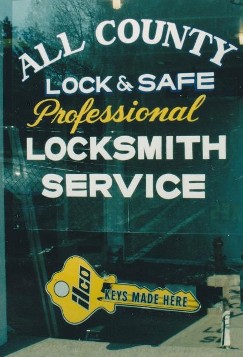 Family owned and operated since 1987 member of Associated Locksmith of America (ALOA). Serving Westchester and Putnam County with professional and highly trained technicians with outstanding reputation and workmanship. We supply and service all major brand of LOCKSETS, HARDWARE, and SAFES. We service and supply automotive and motorcycle locks and keys. DON'T GET SCAMMED BY LOW BALL PRICING , BAIT & SWITCH TACTICS. Call a True Local Locksmith with a Actual Store Front and Great Reputation for over 23 years.